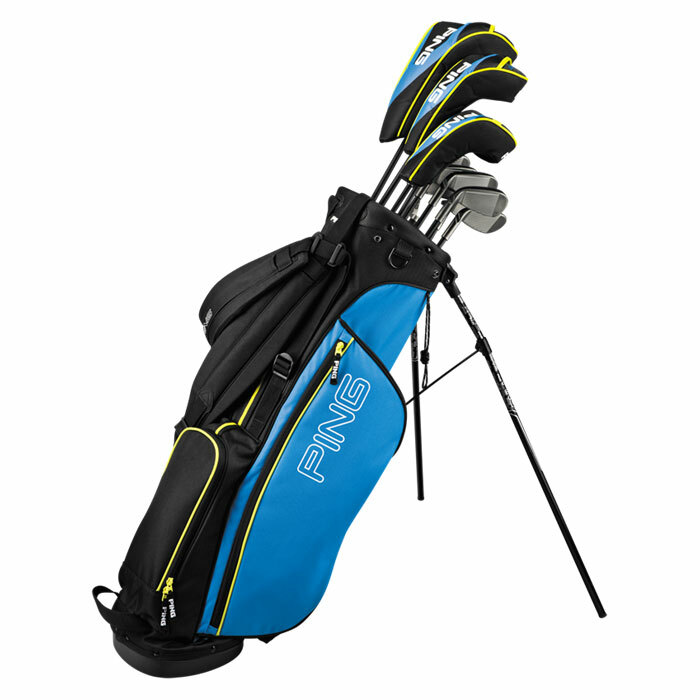 The 10-club Thrive set is designed to fit golfers ages 13 and 14 or between 60" and 64" tall, bridging the gap between PING's Moxie junior sets and our adult-sized equipment. 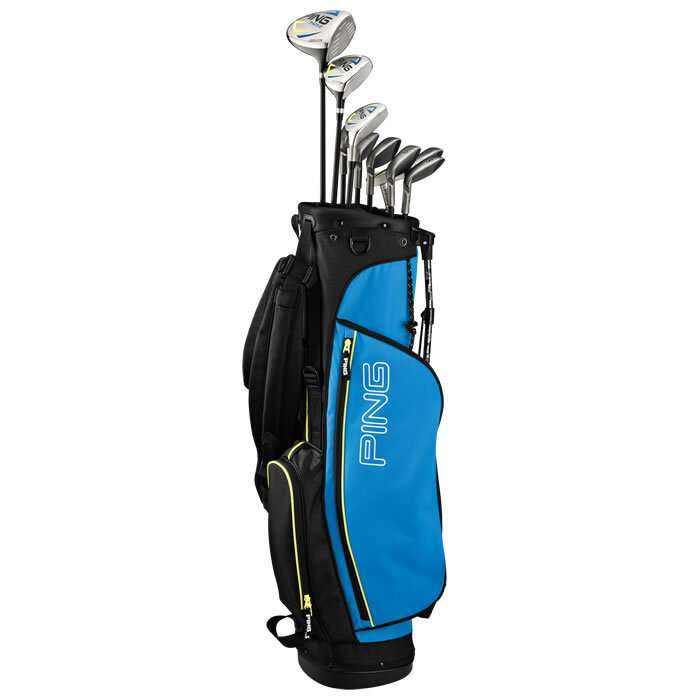 Shaft lengths, swingweights and system mass are engineered to achieve lower scores, build confidence, and make the game more fun. 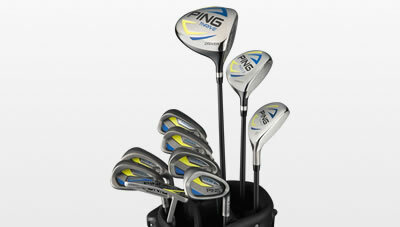 Included are a 460cc, high-MOI driver, high-lofted fairway wood, easy-to-hit hybrid, perimeter-weighted irons, an Anser putter, and a lightweight carry bag with padded straps. 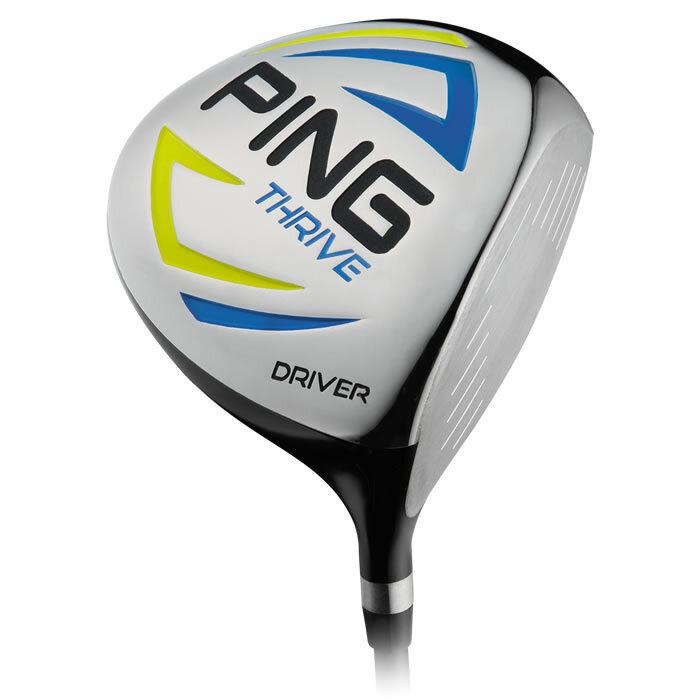 The driver offers a low-back CG to launch long, accurate drives. 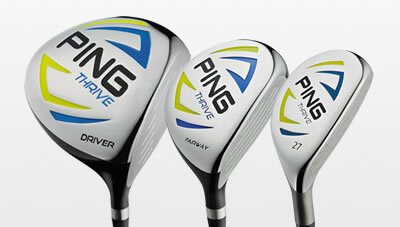 The fairway wood also has a deep CG to launch the ball high, and the hybrid 5-iron replacement promotes high trajectories. 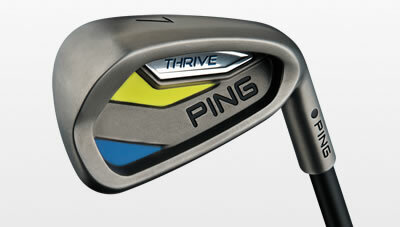 Cavity-back, perimeter-weighted irons (6-PW, SW) offer extreme forgiveness and accuracy, with graphite shafts for increasing clubhead speed, ball velocity and launch angle for distance. 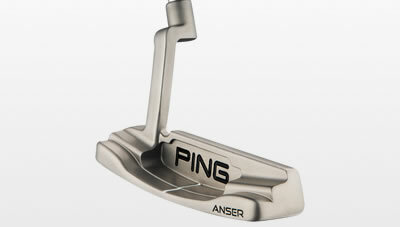 The Anser putter is the winningest model in history, offering heel-toe weighting for forgiveness and a sight line to help with aiming accuracy.